Foden Lodge01263 715779work01603 870304fax Self-cateringTucked away on the outskirts of a lovely small village, this property has a newly-built lodge aesthetic and features high-quality furnishings and utilities making a guest's stay simple and enjoyable. With spacious rooms and a well-maintained frontage, this marvellous property accommodates both groups and families, setting them up for a truley memorable stay in the Norfolk Countryside. Beautiful spacious room with plenty of comfortable seating. Foden Lodge offers weekly bookings starting on Saturday. 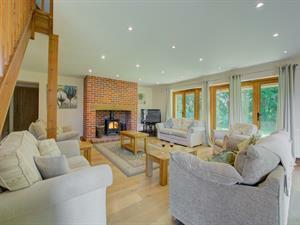 Tucked away on the outskirts of a lovely small village, this property has a newly-built lodge aesthetic and features high-quality furnishings and utilities making a guest's stay simple and enjoyable. With spacious rooms and a well-maintained frontage, this marvellous property accommodates both groups and families, setting them up for a truley memorable stay in the Norfolk Countryside.